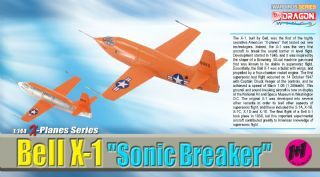 Box Size: 6.7" x 5.9" x 2.4"
The famous Bell X-1 was the first aircraft to break the sound barrier in level flight. Its development started in 1945, and it was inspired by the shape of a Browning .50-cal machine gun round. The first supersonic test flight occurred on 14 October 1947. 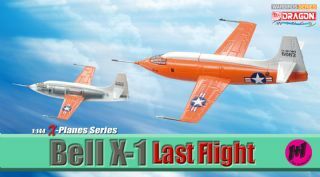 A derivative ordered by the US Air Force (USAF) in 1948 was the Bell X-1A, which was an improved design featuring greater fuel capacity and hence a longer engine-burn time. 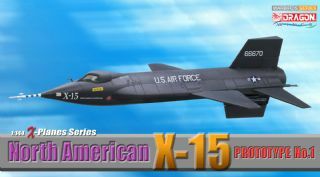 The X-1A looked slightly different with its bubble canopy and longer fuselage, although it was powered by the same Reaction Motors XLR-11 rocket engine. 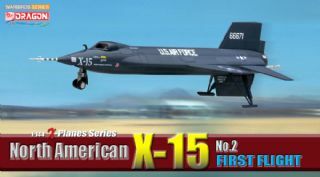 It was intended for research of aerodynamic properties at speeds surpassing Mach 2. 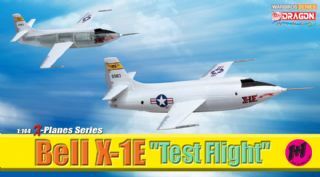 The Bell X-1A (with serial number 48-1384) first exceeded Mach 2 in November 1953, but the following month test pilot Captain “Chuck” Yeager achieved a speed record of Mach 2.44. 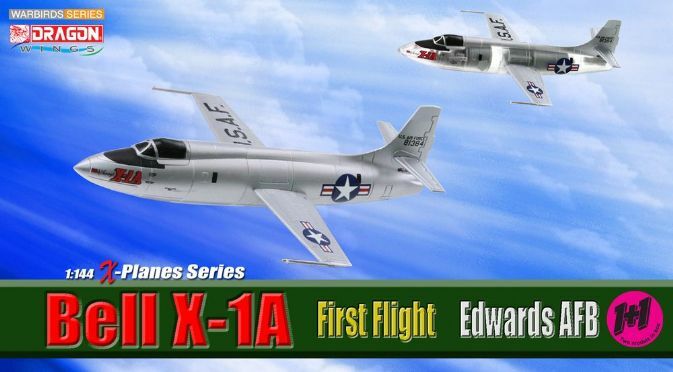 Unfortunately, the experimental plane was later lost in an explosion in August 1955. 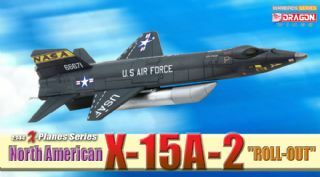 Joining earlier versions of the Bell X-1, Warbirds now has an excellent 1/144 scale model of the X-1A in its collection. 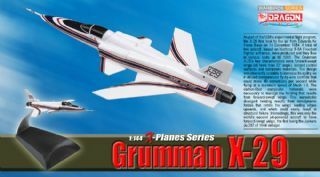 Because of the fundamental differences between the X-1 and X-1A, the new model has received a brand new fuselage. 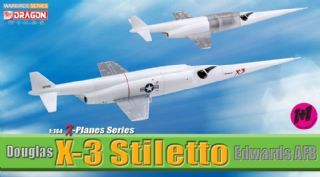 In fact, Item No.51038 offers not one, but two, complete models in this set! 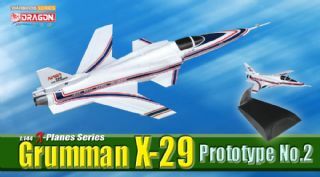 The two models are different too - one is a realistic-looking replica, while the other has a novel transparent fuselage that allows a clear view of the aircraft’s innards. 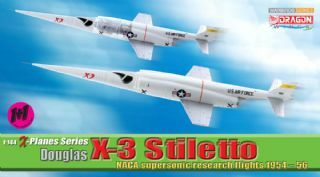 Both aircraft can be mounted together in flying mode on a twin metal stand, a configuration that produces a stunning exhibit. 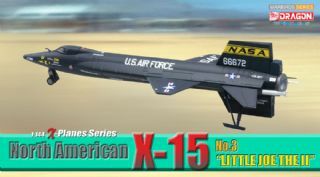 North American X-15, No.3 "Little Joe The II"